In K and 1, the music educator and students can use the cloud-based software from MusicFirst called Groovy Music to create music. Consider this a “GarageBand” for younger students. 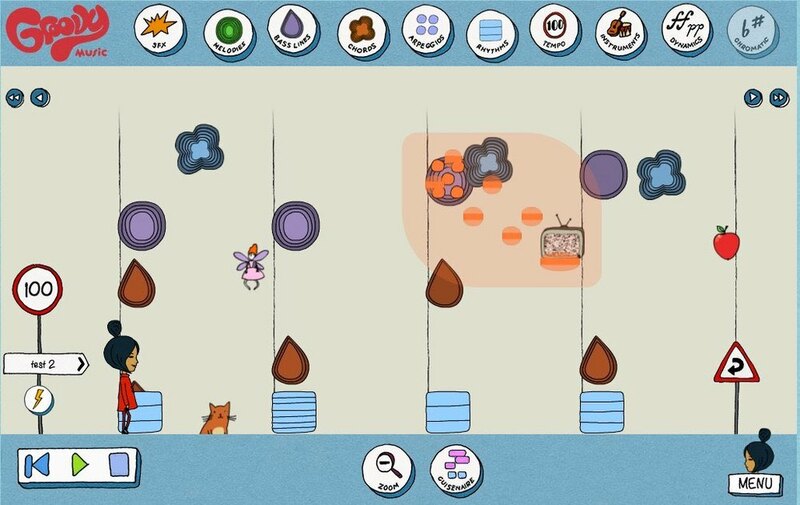 Using Groovy Shapes, music educators can reinforce shapes, colors and patterns while having the students create a song in a guided form. The students also experience musical terms such as dynamics, tempo, melodies, bass, chords, and more. 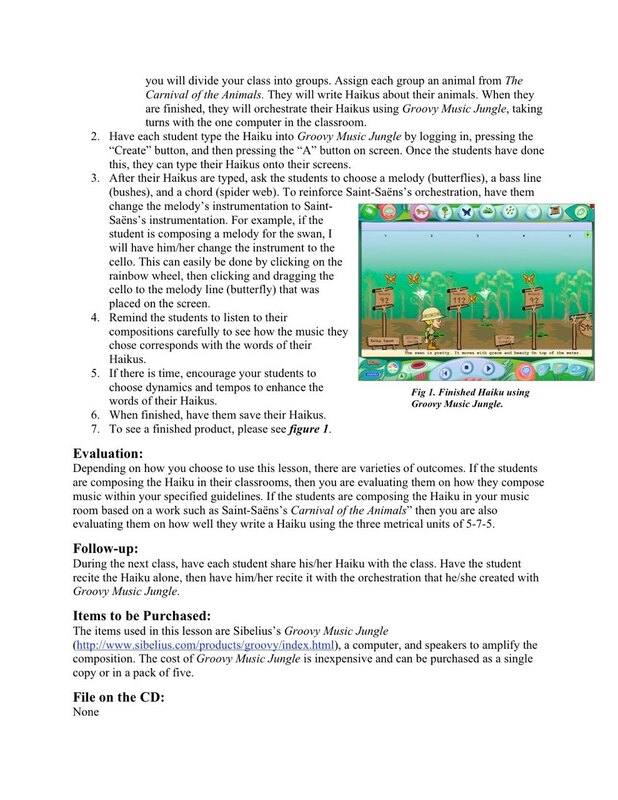 Using Groovy Jungle, students can experience creating a song using the same musical elements listed above. However, they can also use the text tool to write lyrics or poetry to their songs. It is a nice way to make a cross-curricular connection with writing. Finally, if your students are studying the rainforest, they can create a song about the rain forest that can have written facts using the knowledge they learned from science class. Above you will find pictures and below you will find two video clips of Groovy Music. The first video shows the process of learning Vivaldi's "Spring" 1st Movement through movement with a parachute. The second video shows my Kindergartners’ composition using Groovy Shapes. They created a song with the same form of Vivaldi's Spring: ABACADAEA.